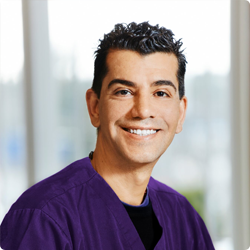 Marcelo Ferreira has been a Surgical Dental Assistant since 2001. He enjoys interacting with patients and is passionate about helping them understand their treatment. Marcelo is a native of Brazil and speaks fluent Portuguese and English. He enjoys playing chess, cooking, baking, and drawing, and is currently learning to play the violin.